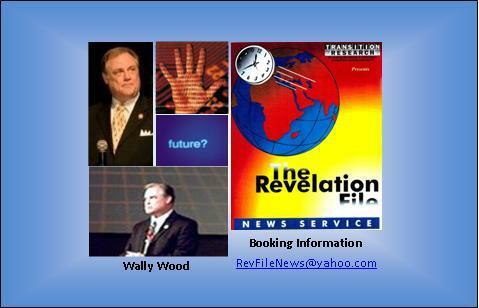 The Revelation File began as a daily radio news commentary over the Sonlight Radio Network from 1980 to 1984 and, in 1985, over KSBJ in Houston, as part of the Christian News Network that Wally Wood had started at the time. The “RevFile” eventually became a nationwide subscription news service to the body of Christ in the late 1990s. To receive The Revelation File newsletter by email, send for information at info@revelationfile.com. This entry was posted in End-time Bible prophecy. Bookmark the permalink.